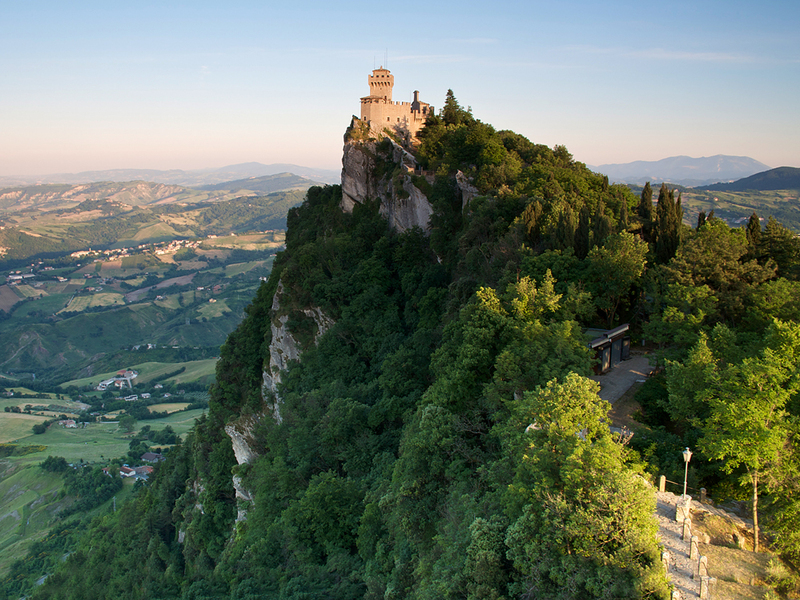 Natural attractions in San Marino can hardly talk because it is a city-state. Over the centuries, this very small country has been in countries fighting of two world wars and through peaceful existence has managed to preserve its architecture. 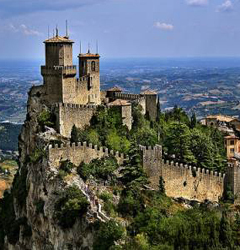 Historic attractions in San Marino are few, the most important among them are the three towers of San Marino. Not randomly appear on the crest of this European country. Some towers have several buildings that some say resemble castles. Their names are Guaita, de la Fratta and Montale. About Tower Montale no extensions and it stands alone at one end of San Marino. Interest for tourists represents Guaita castle and in particular the prison in which prisoners serve their sentences. 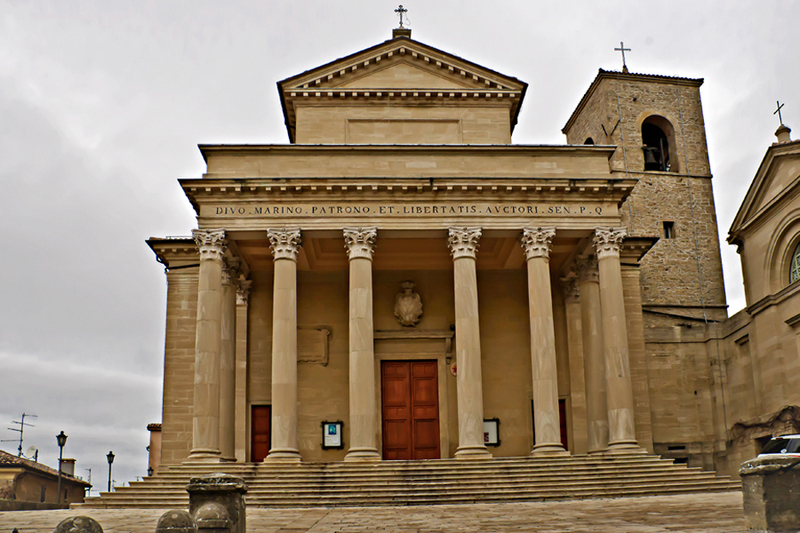 One of the most beautiful attractions in San Marino's Basilica La Pieve. It was built in the 19th century, used for foundation design of the old church from the 5th century. This is where the remains of the founder of the city. 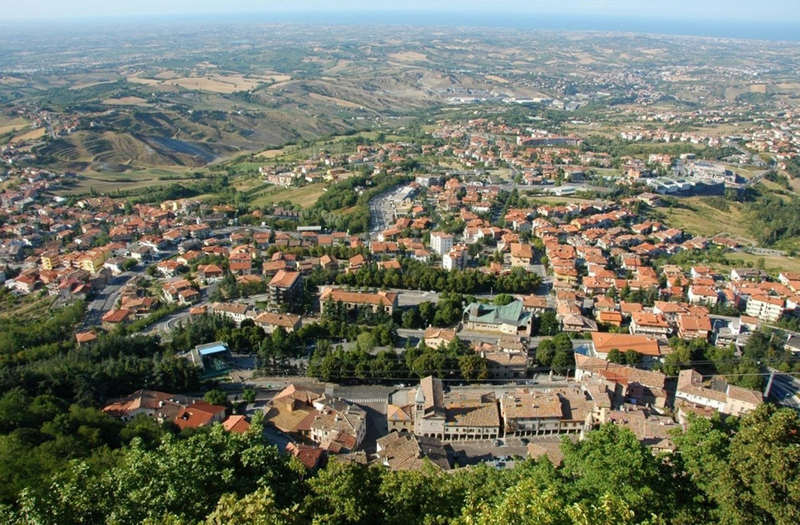 Other churches in the area are the church of San Pietro and the Church of San Francesco. Interest for visitors to the museum represents inventions. Here are fantastic wax figures of people entered into the Book of Records "Guinness" - the fat man, the lowest person heaviest newborn and others. 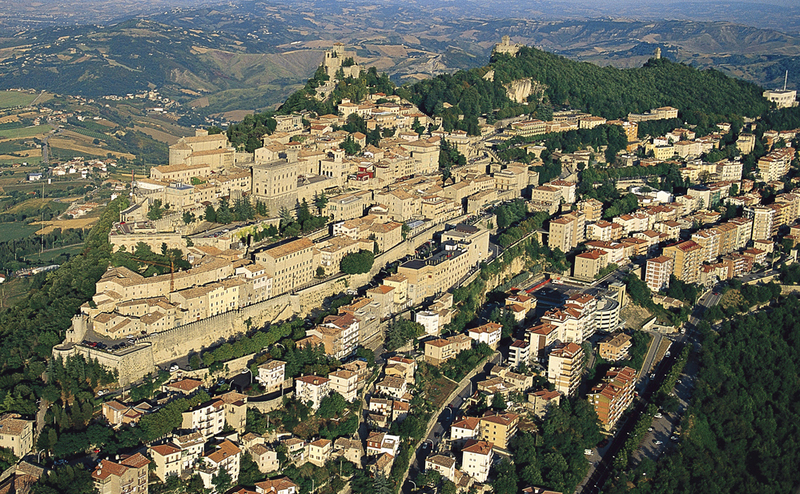 During the tour you will feel the medieval atmosphere of the city, because San Marino is the third row smallest state after the Vatican and Monaco. 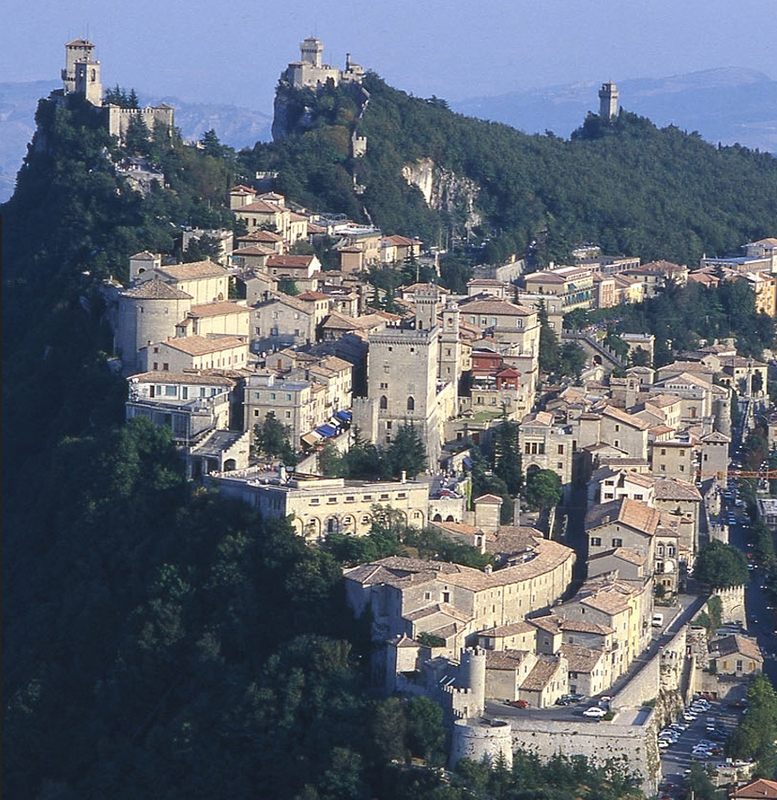 It is good to know that the residents of San Marino are not Italian, though to speak Italian. Try delicious traditional dessert "Torta Tre Monti". Cake represents three soft wafer, between which there is a mixture of chocolate, cream and hazelnuts, and from above is awash with chocolate glaze. 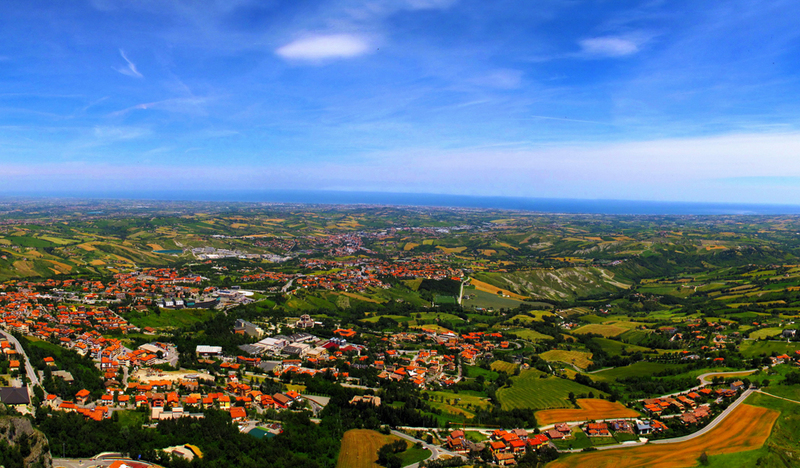 Very close just 10 kilometers to San Marino is located on the Adriatic coast and in particular the town of Rimini. 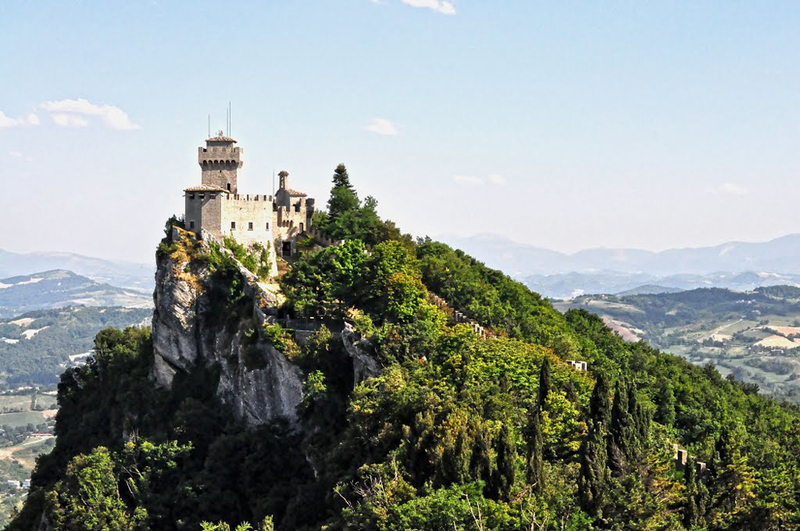 So you can go unless you are planning a tour in the enchanting attractions in San Marino, a nice walk on the Italian Riviera. Since the country is surrounded on all sides by Italy, but the economy and culture depend entirely on it. Residents have almost 30,000 who are very proud and respect its history. Part of the city walls still go around the country, particularly around the three towers. Fort remained impregnable, but because it was inaccessible and well guarded, but because it did not matter to the conquerors. All that we have described so far in this short article, you can see it in one day. 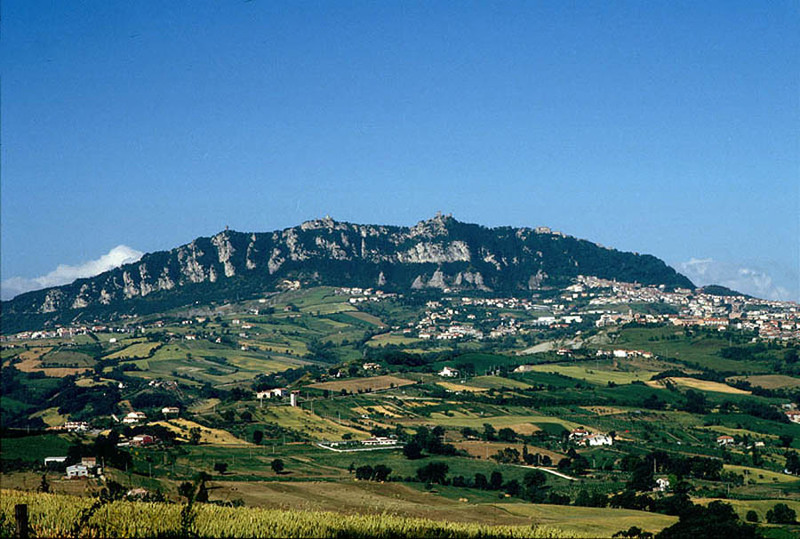 For example, is a big mistake if you include in San Marino to attractions in Italy. 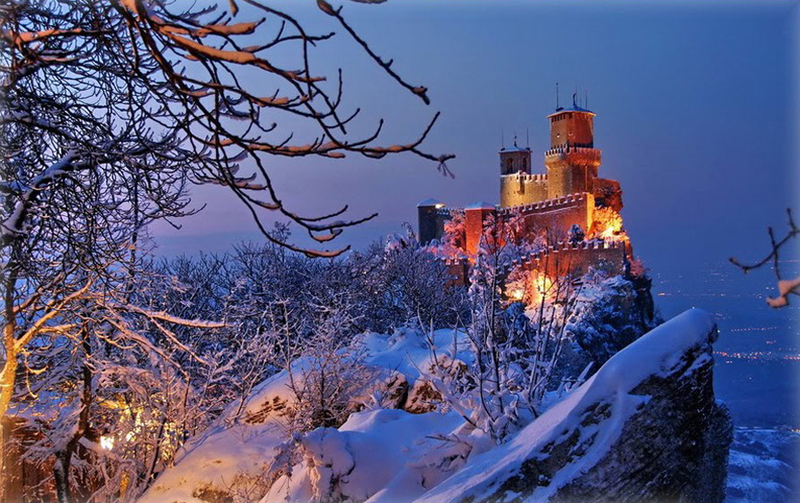 Tourists rarely stay more than one day in San Marino, first because of high prices of accommodation in the few hotels and second, that the state is too small and offers a number of attractions.